Silver coin of Aethelred II Long cross type, 997-1003 (North 1980, 121, no 774), Moneyer Leofnoth, mint London. 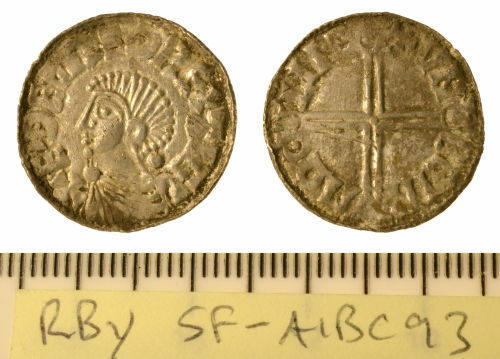 A complete silver penny of Aethelred II Long Cross type (c. 997-1003). Moneyer and mint are uncertain. North (1994) No.774.